Within a half hidden away corridor in one of Uppsala University´s facilities: The Geocenter, you can find the core of this program, which originates from the heritage of wills and strives of former students many years ago. These individuals managed not only to influence courses, they actually with some help of teachers, persuaded the headmaster to govern them themselves. The result came to be CEMUS – The Centre for Environment and Development Studies, today manifested as this typical researcher corridor with wide open office doors stretching along on both sides. Nowadays also SLU (Swedish abbreviation) or the international name; Swedish University of Agricultural Sciences play their less notable but still, part within the collaboration. Not least via the represented master program of this blog. See the Ultuna link on start page for more SLU related info. The multiple courses that have emerged are still governed by former Master students occupying the offices alongside researchers and application pressures for some this year have been quite high. They covers issues such as shortcomings in our economical system, management of natural resources, Sustainable Development or the Technology, Power and Future of Humanity course, with others. 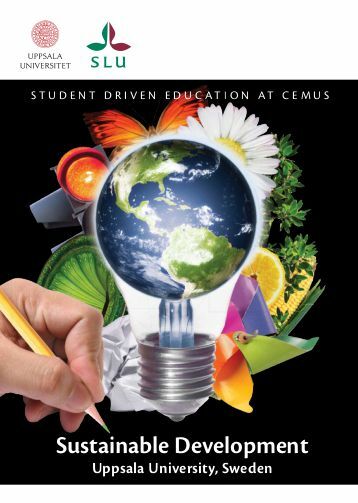 All can be found at CEMUS courses.